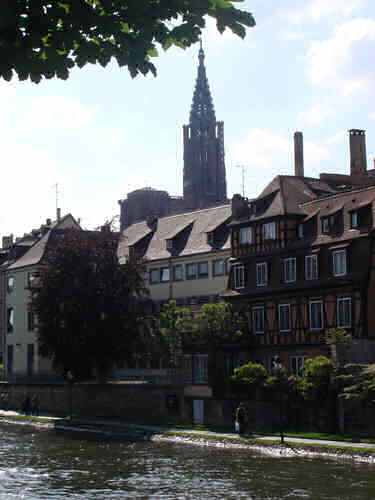 The initial property, inscribed in 1988 on the World Heritage List, was formed by the Grande-Île, the historic centre of Strasbourg, structured around the cathedral. The extension concerns the Neustadt, new town, designed and built under the German administration (1871-1918). The Neustadt draws the inspiration for its urban layout partially from the Haussmannian model, while adopting an architectural idiom of Germanic inspiration. This dual influence has enabled the creation of an urban space that is specific to Strasbourg, where the perspectives created around the cathedral open to a unified landscape around the rivers and canals. 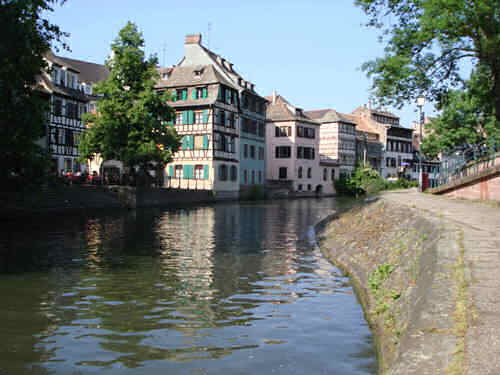 1988년 세계유산에 등재될 당시 유산의 공식 명칭은 ‘스트라스부르 옛 시가지(Strasbourg – Grande île)’로 대성당 중심의 역사도심인 스트라스부르의 그랑딜(Grande-Île) 만을 지정했다. 확장된 유산은 1871년~1918년까지 독일이 설계하고 건축한 신시가지인 노이슈타트(Neustadt)도 포함되었다. 노이슈타트는 오스만 스타일 모델(Haussmannian model, Georges-Eugène Haussmann)에서 도시 레이아웃의 영감을 얻었으며, 건축물의 외관은 게르만족의 건축 규범을 따랐다. 이 두 가지 영향을 한꺼번에 받은 스트라스부르는 이곳만이 지닌 특징이 반영된 독특한 도시 공간이 되었고, 덕분에 대성당을 중심으로 펼쳐진 전망은 주위의 강과 운하를 따라 조화로운 경관을 향해 열려 있는 듯한 효과를 낳았다.